Backpacking in the Gods Own Country..
Wild Life, Heritage, Culture, Art, Sport, Food, Martial Arts its all going to happen..
Budget will be announced shortly a day plus Train Travel Cost. Registration for Ex. Mumbai or Ex. Kerala group size minimum 6 and maximum 18 members. Separate rates for twin and triple sharing. Planned Schedule (Starting Date: November 19, 2011). Participants interested kindly email / sms asap..
Stay and Food on Triple Sharing with Breakfast. Kochi, better known as Cochin, is Kerala's most cosmopolitan city. 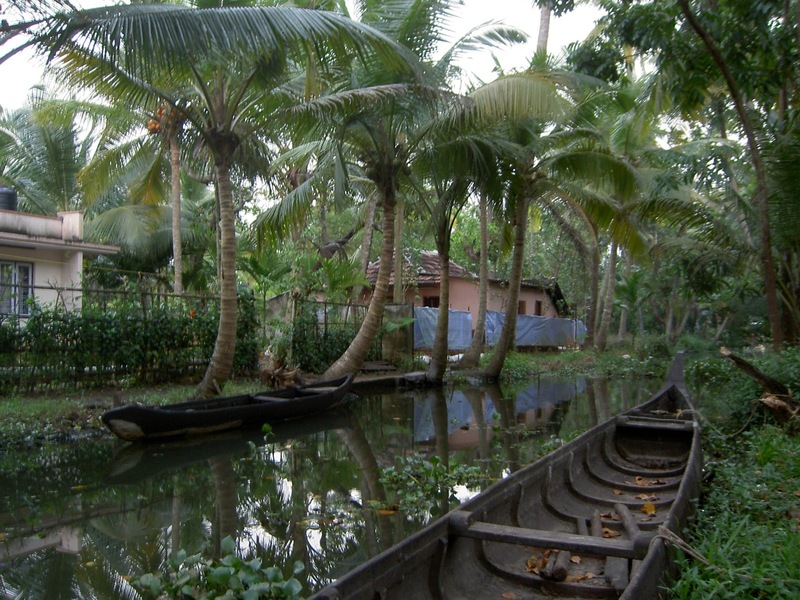 Kochi have an old charm, with their blend of Dutch, Portuguese and English bungalows and quaint narrow streets. The scenic location of Kochi's natural harbor, surrounded by palm groves, green fields, inland lakes and backwaters, has enchanted visitors from across the globe for centuries. Nestled among the mist clad mountains serene evergreen forest of Western Ghats of Kerala is the confluence of three rivers - Munnar. She is really a jewel in the crown in Kerala. The blanket of emerald green tea plantations, the placed lakes, all give the natures very best. The spicy fragrance of the wind, virgin beauty of the wooded valleys and seductive landscape makes her a lover's paradise. Thekkady is one of the most popular wildlife sanctuary of the country and is also India's Southern most Tiger Reserve. The sanctuary is well known for Viewing all aspects of elephants. It is a heaven for Sambar, wild bear, spotted deer, leopard, Malabar flying squirrel, tripe necked mongoose, black nilgiri langoors and nilgiri Thar etc. Vallamkali or Snake Boat Race. Vallamkali or the Snake Boat Race is the most enchanting facet of the festival of Onam. The event is promoted as a major tourist attraction of the state of Kerala and draws a large number of domestic and international tourists. Vallamkali has been going on for good number of years and its popularity is soaring with each passing year. Much credit for the success of Snake Boat Race can be attributed to Pandit Jawahar Lal Nehru who was so enamoured by this colourful event that he instituted a trophy for the race. Vallamkalis are tastefully decorated with green and scarlet silk umbrellas. The number of umbrellas attached to a boat holds significance as it signifies the affluence of the family to which they belong. To render a more maginificient look to the boat gold coins, ornaments and tassels are also added. To make sure that everything goes smooth, arrangements start days before the event. The boats are launched a day before the grand race. Pujas are also rendered to Lord Vishnu and Mahabali by a priest to invoke blessings for the boat and the boatmen. Flowers offered to the God are also placed at the helm of the boat as a good luck charm. To watch the grand gala race, thousands of people assemble on the banks of the river Pamba at Aranmulla where a temple dedicated to Lord Krishna and Arjuna is located. About 30 elaborately crafted Chundan Vallams or snake boats participate in the mega event. The boat race is conducted on a stretch of 40 kilometers from the hills to the low lying plains on the fifth day of Onam. The sight becomes endearing when one looks at the beautifully decorated boats being rowed by oarsmen dressed in white dhotis and turbans. Traditional songs Vanchipattu, sung on the rhythm produced by splashing of boats furthers adds to the overall excitement of the team event. Each boat comprises of 150 men of which four are helsmen, 25 men are singers and 125 are the actual oarsmen. The most remarkable feature of the Snake Boat Race is the depiction of the great team spirit. It also displays the importance of being united and to be in harmony with nature. A single mistake by one person can produce imbalance and could lead to the overturning of the boat. These day even women participate with lot of enthusiasm in the event and a separate race is conducted for them. Another tradition of the Onam is that all through the festival days to the eve of Thiru Onam, a boat laden with food, called Palliodam sails from Katoormana. This tradition owes its origin to a legend when a food laden boat got stuck in a turn of river. It could be maneuvered further only when a famished family living in a hut on the banks of the river was well fed with the food in the boat. This is related to the Snake Boat Race as the winning boat gets the privilege to accompany Palliodam. The sight is wonderful to look at as the boats are lit with lamps and could be spotted from far. The colorful boat festival is held on the fifth day after Thiru Onam. The practice of Kalaripayattu is said to originate from the Dhanur Vedic texts encompassing all fighting arts and described by the Vishnu Purana as one of the eighteen traditional branches of knowledge. Kalaris are the schools where training in this martial art form is imparted by Gurukals or masters. was created by the warrior saint Parasurama, an incarnation of Lord Vishnu, by throwing his axe into the sea which receded till the point where it fell. Parasurama then established forty-two kalaris and taught twenty-one masters of these kalaris to protect the land he created. Kalaripayattu is a traditional psycho-physiological discipline emanating from Kerala's unique mytho-historical heritage as well as a scientific system of physical culture training. The historical antecedents of this martial art form combines indigenous Dravidian systems of martial practice such as 'varma ati' or 'marma adi' with an influence of Aryan brahman culture which migrated southwards down the west coast of India into Kerala. 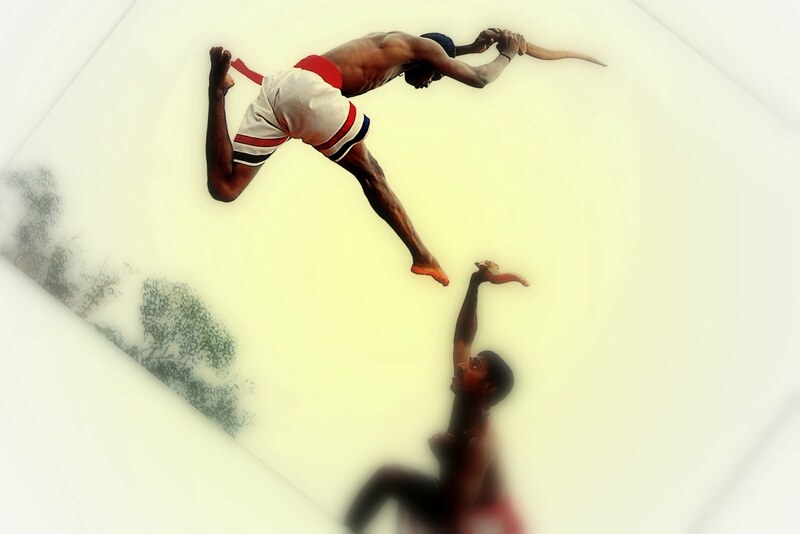 There are two distinct traditions in Kalaripayattu-the Northern and the Southern schools. In the Northern tradition the emphasis is laid on progressing from body exercises to combat with weapons and last of all to unarmed combat. In the Southern tradition the patron saint of Kalaripayattu is the sage Agastya whose strength and and powers of meditation are legendary. It is said that when the Lord Shiva married the Goddess Parvati at Kailasa in the North, all gods and goddesses went to attend the wedding and with this shift in weight the world tilted, so much so, that Agastya was sent to the South to restore the balance.